Why do meals and conversation go so well together? According to Fry’s English Delight this week, it’s the pauses necessary to eat that allow everyone to speak, to get their turn. Have you ever listened to your partner/child/parent/friend for more than three minutes without interruption? It’s hard, isn’t it? That’s why food is so good at giving everyone a chance to speak. It’s hard to have a great big family meal at school like this – they’d be so much washing up. However we can do something that is arguably better. We can sit down in a circle and ensure that everyone who wants to speak can speak, in a non-judgemental, safe and supportive atmosphere. Isn’t this what we all want – to be listened to? 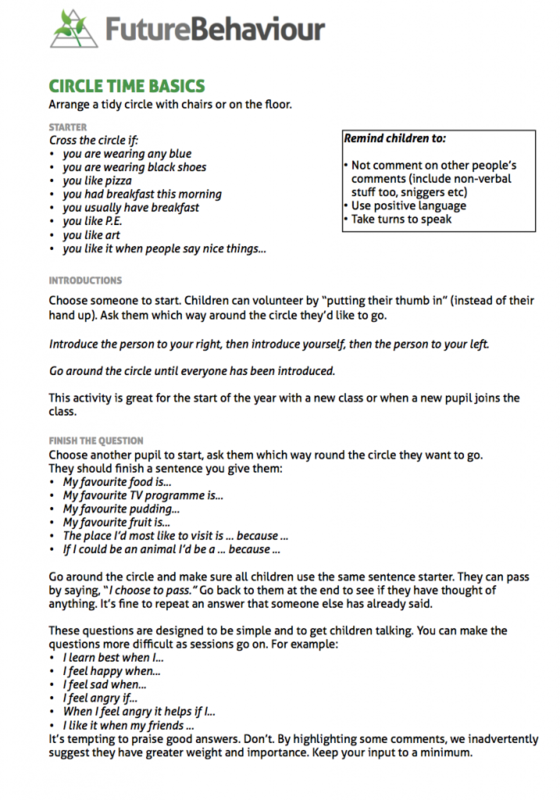 Download a 2-sided guide to circle time here and get your year off to the best, most familial start possible.